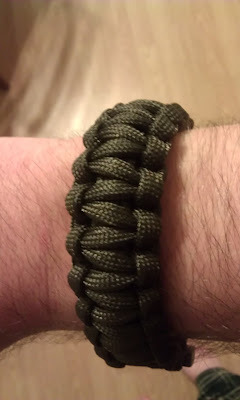 I rarely do product reviews here on EastWestHike but when some Upstate New Yorkers asked me to try out their paracord bracelets I said, why the hell not? Cobrabraid is a family run business near 'Cuse and is trying to get into the burgeoning paracord market. 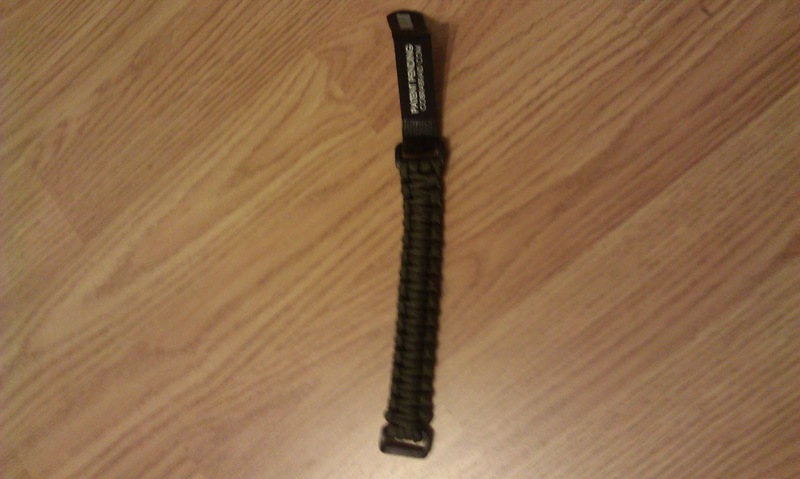 I have to admit, I had no idea if there was a paracord market or even what a paracord was until recently. Paracord, for those not in the know, is a bracelet that you can unwind to help you rappel or help construct slings or other "outdoorsy" devices (like bear hammocks [not really but who wouldn't want to see a bear in a hammock?]). You can definitely construct something of that nature because this cord apparently will only break at 550 pounds, which means I am going to have to eat A LOT more cheeseburgers to test out their claims. 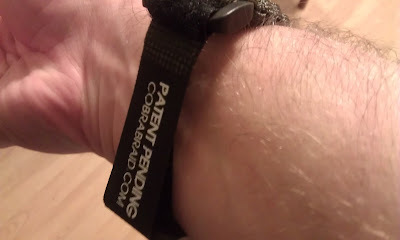 One of the great things about the Cobrabraid version of the bracelet is that the clasp is is made of velcro which makes it much easier to hook up and its not nearly as hard on your skin as clip bracelets. Also, the braid itself seems "softer" then other braided bracelets I own. Of course, you don't want it too soft so you can't construct that sweet bear hammock but its nice if works as a bracelet in addition to rescuing you from oncoming bears looking for hammocks. One thing that I would love to see on paracords, Cobrabraid included, is a working compass. You may as well up the utilitarian factor amirite? Overall, if you are looking for paracord definitely look at Cobrabriad. 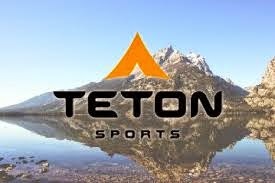 The material looks and feels great and given that it will definitely support you in a time of trouble, it is something to check out for the outdoor enthusiast. I was provided this bracelet for purposes of review. I try to review items like this as honestly as possible. Whether I liked it or not, I don't gain anything if you go out and buy these things. Its the Internet, take everything with a grain of salt and gain from it what you can. Thanks for sharing the review. I love seeing reviews up from companies in NY. Looks like a fine product to check out. Where are you from in NY? I was born and raised in Geneva. Albert, thanks for commenting and I dig Geneva! I grew up near Albany NY and loved spending time in the ADKs. Also lived for a bit in Rochester and Buffalo so I have "been around". Thanks for reading, the bracelet is pretty solid! Why didn't you test out the actual paracord part? Your review is just a bracelet at this point.